The Perfect Summer Workout - Kick start your training with these 84mm wheels, which are ideal for long distance exercise sessions. 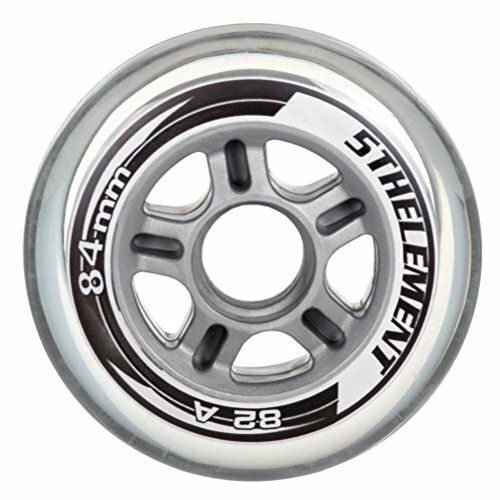 Upgrade to Bigger and Better - Shed your beginner wheels and grab some 5th Element 84mm for a more advanced skate. Skate Stronger than Ever - 5th Element wheels have a durometer of 82A for a strong grip and reduced vibrations at high speeds. Take on Tough Terrain - These high-density, polyurethane wheels can skate rough surfaces and asphalt without wearing down. Replace those Old, Worn Wheels - Update your skates with this fresh 8-pack of wheels for brand new ability. View More In Inline & Roller Skating. If you have any questions about this product by 5th Element, contact us by completing and submitting the form below. If you are looking for a specif part number, please include it with your message.